Optimum Security is the preferred provider of security services in Whistler, BC. We design and execute customized security plans for homeowners, businesses, and organizations that need to protect high-value assets, manage crowds, and mitigate risks. Whether you need crowd control support for a special event, extra loss prevention assistance at your retail outlet, or a regular security officer posted at your hotel, restaurant or residence, we can help. Our team of uniformed, professional Whistler security officers have undergone extensive background checks and advanced training in risk management, communication, surveillance and crisis intervention, making them among the most qualified private security officers in the world. Our Whistler mobile patrol unit can provide effective, high-visibility protection for your home, vacation property, business, or construction site. We use well-maintained, marked security vehicles to conduct our mobile patrols to help keep your property secured and protected, and we work closely with local law enforcement agencies to identify and address any issues that could impact your assets. 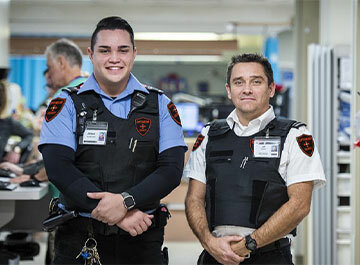 Optimum Security is one of the fastest-growing providers of private security services in BC, and our growing client list includes hospitals, schools, governments, businesses, and individuals. We provide value to each of our clients through exceptional service and our unwavering commitment to being the best in the business. To learn more about our comprehensive security services, private uniformed officers, and mobile security patrols in Whistler, BC, contact us at (604) 644-9229 to arrange a confidential assessment of your protection needs.